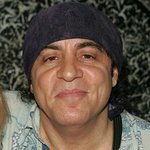 Ronald McDonald House New York has announced that it will partner with Steve Van Zandt as an official friend and ambassador of the House. 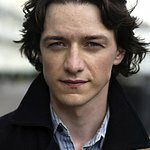 In his new role, the rock and roll legend, actor and music education advocate will promote the great work of the House and also provide unique mentorship to the cancer stricken children of the organization. As a partner of the house, he will provide the children with access to amazing musical activities and events throughout 2017. Van Zandt will be releasing his first album, SOULFIRE, in nearly two decades, on May 19 and he will personally announce his new partnership with Ronald McDonald House New York at the annual Heroes Volunteer Event, on June 20, 2017, at Guastavino’s in New York City. At the event, Van Zandt will officially present a special gift to the House children. Tickets are available at www.heroesevent.com. The Ronald McDonald House is the largest facility of its kind, with more than 300 sites worldwide. In New York, the organization helps keep families close by providing temporary housing for children battling cancer and their families. Afflicted families can visit and receive treatment at 16 different nearby partnering hospitals throughout the city.